MUSITELLI TO JOIN LOUPEE IN ALLEN, TX? 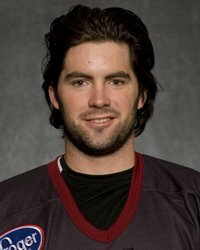 I’ve been told by a credible source that former RedHawk Nino Musitelli will be joining the Allen Americans of the CHL this season, instead of the Elmira Jackals. 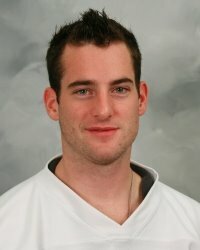 Musitelli was recently cut from the Binghamton Senators camp. According to the source, Charlie Effinger may also be on his way to the Allen squad. Former Miami defenseman Alec Martinez has earned a spot on the Los Angeles Kings opening night roster. According to most, Tino is currently the 7th or 8th defenseman within the organization and will likely be featured on the top pairing with second year star Drew Doughty. I personally believe that he could use some more seasoning in the AHL, but if the organization has enough confidence in him, then I’m okay with that. Best of luck to him. Kings’ veteran defenseman Sean O’Donnell is suspended for the first two games of the season. I say: GET RID OF THE SHOOTOUT! That’s another story for another day, however. 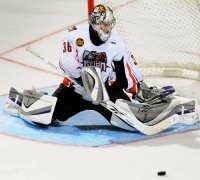 >– As an update to an earlier post, the ECHL American Conference all-star roster was announced today…sans former RedHawks, making Jeff Zatkoff the only Miamian to patricipate in the upcoming all-star game. 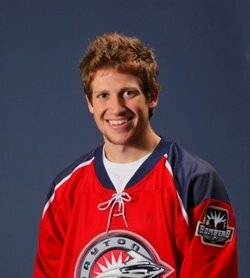 – Also in ECHL news, the Dayton Bombers have placed Nino Musitelli on the 7 day injured reserve list (shoulder). I’ll also be doing a “Who Plays Where” post for the upcoming season in a few days, once final cuts are made. >Thanks to reader Andrew for the following. Nino Musitelli and Elgin Reid were credited with goals, as the Wilkes-Barre/Scranton Penguins posted a 2-1 win against the Binghamton Senators in preseason action on Friday night at the Broome County Veterans Memorial Arena. The Penguins took a 1-0 lead 11 minutes into the game, when Musitelli swooped in from behind the net to pounce on a loose puck. His backhand smack sent the biscuit fluttering over a prone Mitch O’Keefe. > Nino Mustielli has received an invite to the Wilkes-Barrre Scranton Penguins training camp, on a tryout basis. As you know, Nino signed on to play for the ECHL’s Dayton Bombers this season. You can view the WB/Scranton camp roster by clicking here. 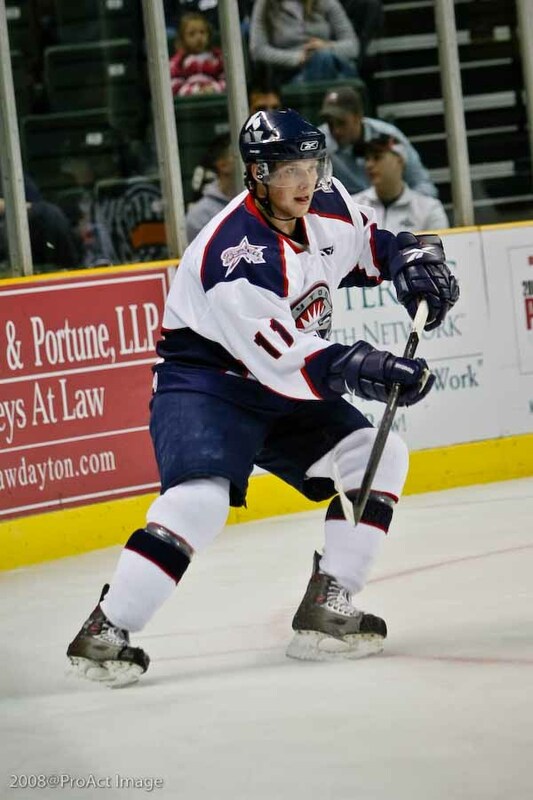 > Nino Musitelli is now a member of the Dayton Bombers.This is a great accomplishment for Nino; to play with some great players in the ECHL. 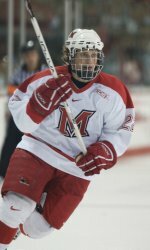 In his four years as a RedHawk, Musitelli tallied 21 goals and 37 assists. As a freshman, he only participated in 14 games due to injury, but developed into a solid player as the years progressed, especially during the 2007-2008 season. Nice to see he’ll still be in the Miami Valley. Best of luck to Nino. I’m sure the Musitelli clan will make many a trip to the Nutter Center.